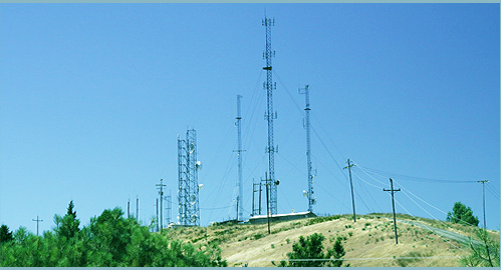 Umunhum Development Corporation established by Loren R. "Mac" McQueen in January of 1950, provided communications sites and services to the rural area of Santa Clara Valley and the Monterey Bay from the family owned mountain top property on Mount Umunhum near Almaden, California. The business grew steadily through the 50's. 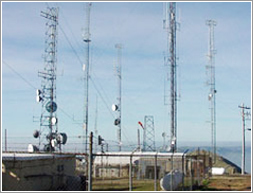 The Allison Development Company was established in 1961 to create and manage a communications facility on a leased site on Mount Allison near Fremont, California. In 1965, the two companies were combined under the name Communication and Control, Inc. (CCI)In 1969, purchased the 25-acre lease on Mount Allison, making it unique as the only site on private land on the Mission Ridge. Communication Control, Inc. was converted to a S Corporation in 1989 at which time the McQueen family shares ownership of the company. Effective with the transfer of the companies holdings, is now a female minority owned company. Scott McQueen (VP Operations), Randee McQueen (CFO) and Ross McQueen (Facilities Supervisor) are actively involved in the operation of Communication Control, Inc. The prospects for Communication Control, Inc.'s growth have never been brighter and CCI has a reputation for personal service and commitment. Communication Control, Inc.'s family ownership makes possible a stable long-term relationship with it's clients, unlike publicly owned companies that are subject to frequent management changes and financial market fluctuations. Our clients find that our independence from equipment manufacturers insures the best solutions available, not merely the best solution available from one supplier.